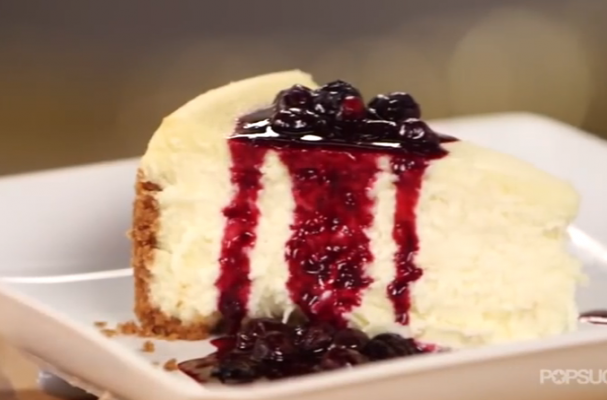 Cheesecake Factory made their mark by making incredibly rich and unique cheesecakes. While you can pick up dulce de leche cheesecake, Oreo cheesecake, pineapple upside down cheesecake, the original remains a favorite. When you can't make it out to the restaurant, this copycat recipe becomes the perfect alternative. This cheesecake is rich, dense and delicious. The blueberry compote adds a colorful touch while also providing a contrast to the smooth custard.